Two ongoing cases represent the country's new resistance to multinational influence. 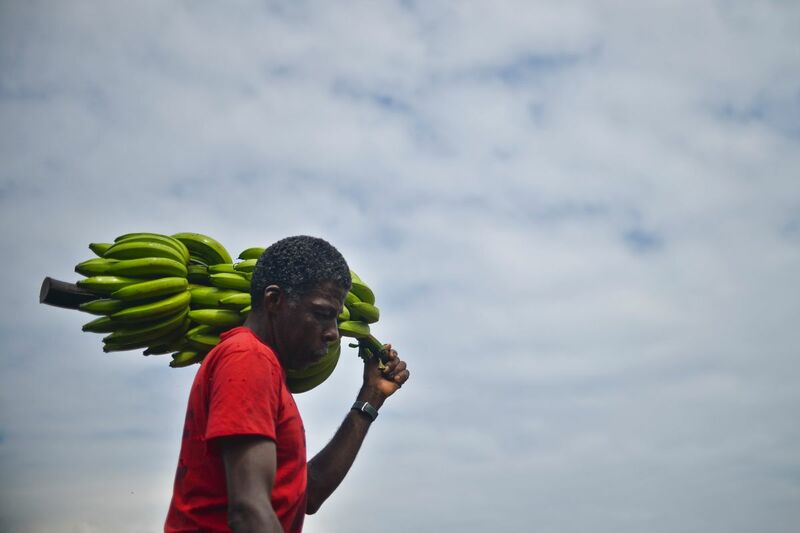 A man carries bananas in Colombia&apos;s Chocó region. In order to properly grow, bananas require moist soil, a temperature hovering around 80 degrees Fahrenheit, and somewhere between 78 and 98 inches of rain per year. In Colombia, the world&apos;s fourth-largest banana exporter, that environmental confluence occurs best in the densely jungled Urabá region, which hugs the northwest Caribbean coast. A banana-growing region needs something else too: human bodies, to clear the jungle away by machete, and to prop up the plants that sag when the weight of the fruit is too heavy. The work is both strenuous and dangerous. Though the Urabá region produces roughly two million tons of bananas every year, amounting to $800 million in exports in 2015, just 8 percent of that yield is sold locally. 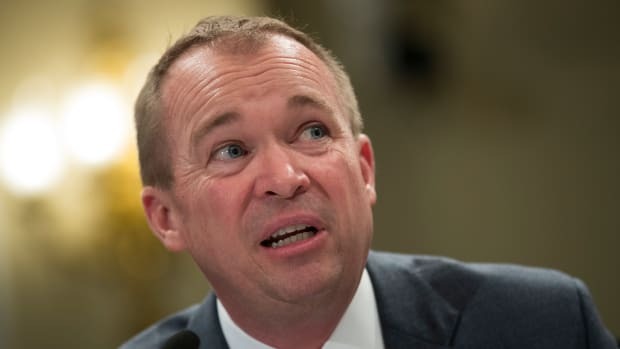 With that kind of money up for grabs, it was only a matter of time before people with guns tried to take control of it. Those gun-bearers came here in the form of the paramilitary group known as Autodefensas Unidas de Colo. In 1997, the body of a union-organizing banana farm worker was found on the side of the road. He&apos;d been tortured, decapitated, and dismembered by members of the AUC. It was only one of a deluge of similar stories between 1996 and 2004, a time when the AUC was allowed relatively free reign over the region, before the government demobilized the group through a series of peace treaties and extradition of AUC leaders to prisons in the United States. 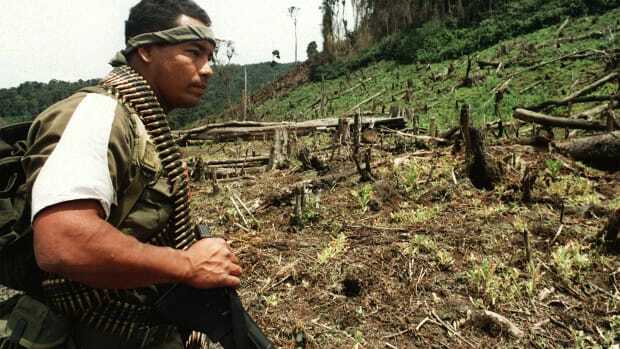 Since the AUC&apos;s dismantling—and the subsequent decline of other paramilitary groups in the region—Colombia has taken aim at a new foe trying to claim profits from the banana-growing region: multinational corporations. In early February, Colombia&apos;s Prosecutor General&apos;s Office announced it would be bringing charges against nearly 200 corporations—both local, and multinational—for participating in "crimes against humanity" by willfully paying off death squads and mercenary groups responsible for the decade of terror. Although this resolution does not analyze in particular the responsibility of any person, it is clear that the banana business voluntarily financed an illegal armed group with the specific purpose of ensuring security regardless of price or the method used. Del Monte emphatically denies any involvement, including the making of any payments to such illegal paramilitary groups. It&apos;s unclear what the next step is for Colombia&apos;s lawsuit, but for Chiquita, the world&apos;s biggest banana company, another fight looms on the horizon. "It&apos;s not an acceptable response to say &apos;We financed a terrorist organization because they threatened us.&apos;"
In 2007, the non-profit EarthRights International filed a class-action lawsuit against Chiquita on behalf of 144 Colombian citizens living in Urabá whose lives have allegedly been negatively affected by the paramilitary groups. The class-action suit holds Chiquita at fault for a number of murders because, between 1997 and 2004, it paid the AUC $1.7 million to "quell labor unrest and prevent leftist sympathizers from infiltrating banana-plantation unions," according to Bloomberg. At question isn&apos;t whether Chiquita made payments to the AUC—as CBS reported in 2011, there are 5,500 pages of internal documents that detail how the transactions were made, including a handwritten note by a Chiquita executive claiming payments to the AUC were the "cost of doing business." It&apos;s whether Chiquita&apos;s claim that it was being extorted when it made the payments actually holds water in court. But EarthRights International says that shouldn&apos;t matter. "That"s not an excuse," says Marco Simons, lead council for EarthRights International. "If you can&apos;t operate without making these payments, you have to stop operating. It&apos;s not an acceptable response to say, &apos;We financed a terrorist organization because they threatened us.&apos;"
Soon after the class-action suit was filed in 2007, Chiquita pled guilty and was fined $25 million by the U.S. government. But the relatives of the victims, allowed to pursue their own claims, have since gone back to court seeking $7.86 billion in damages. A number of attempts by Chiquita to get the case dismissed were themselves dismissed, until a 2014 decision by the 11th U.S. Circuit Court said American courts don&apos;t have jurisdiction since it took place outside of the country. (EarthRights took the case to the Supreme Court, which declined to hear it.) Parts of the case, however, were allowed to move forward. 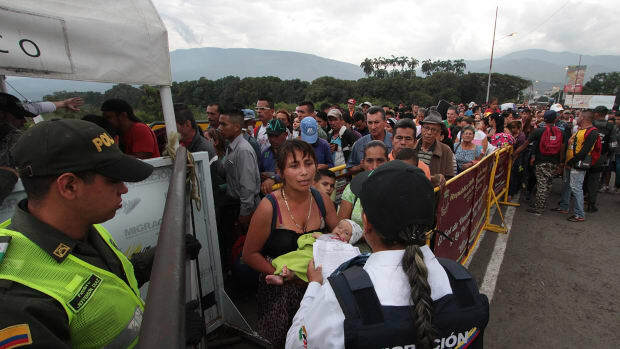 In November of last year, a federal judge in Florida dismissed an attempt by Chiquita to have the case tried in Colombia, an attempt to perhaps allow violence still persisting in the region to influence the dynamics in the court. "There are successor organizations still engaged in intimidation and killings," Simons says. Meaning, the case is finally cleared for take off. After the period of discovery, the case is scheduled to take place in Florida federal court sometime in late 2019 or early 2020. Depending on the outcome of the case against Chiquita— in addition to the Prosecutor General&apos;s Office&apos;s own litigation efforts—multinational corporations may need to pay greater consideration to any potential malfeasance before further engaging in business dealings. 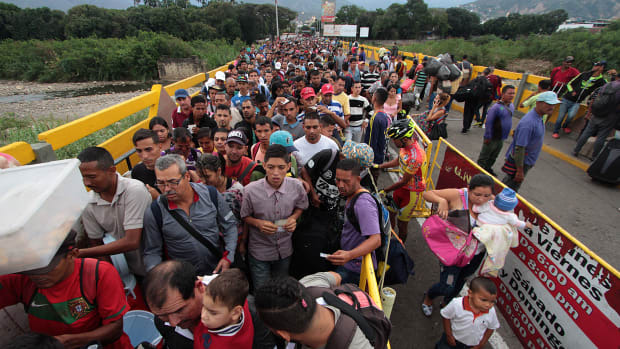 With crisis-stricken Venezuela spilling refugees into Colombia and Brazil, politically expedient deportations make the situation worse. Do Ethics Have a Place in Business Schools? 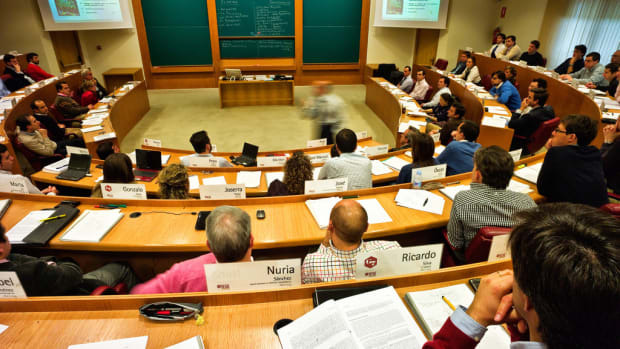 Research tends to show that business school tanks ethical and moral standards. But a generational shift is offering new hope. 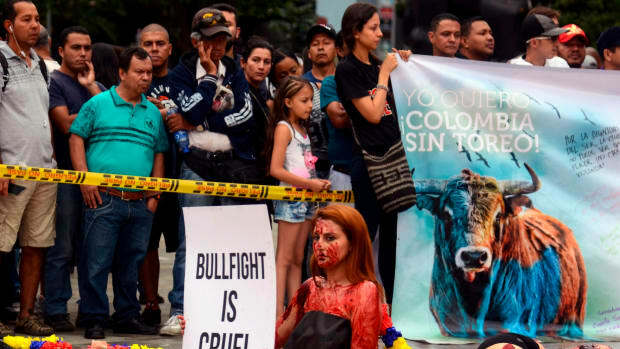 Activists protest against bullfighting at Botero Square in Medellín, Colombia, on February 11th, 2018. One disability rights group from Colorado offers a lesson in how to make your representatives listen.